A MUST-HAVE For EVERY TZer! Are you tired of typing the same words and phrases over and over every time you log onto Timezone? 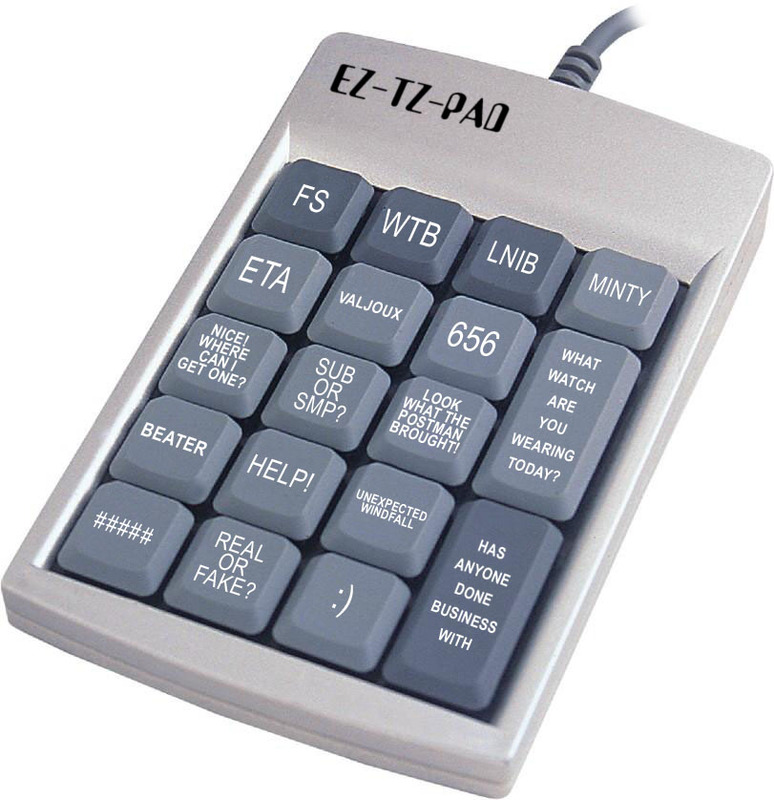 Introducing the exciting new EZ-TZ-Pad for your home computer! It makes being a TZer a BREEZE! Simply attach it to your existing keyboard with the handy cable, and get ready to cut hundreds of keystrokes from your visit to Timezone! Want to sell a watch? Click a couple of keys and you’re on your way! Want to create a sensational new poll? It’s just a stroke away! No more fumbling for the exact words to express yourself…the EZ-TZ-Pad says it all! Over 3 hours of research went into designing the Pad. A staff of 2 writers from around the world hand selected each phrase and word from a huge database of 50 Timezone posts.